With over 10 years experience living my life as a professional cyclist, I decided it’s about time I began sharing some of my coaching experience and knowledge with you. 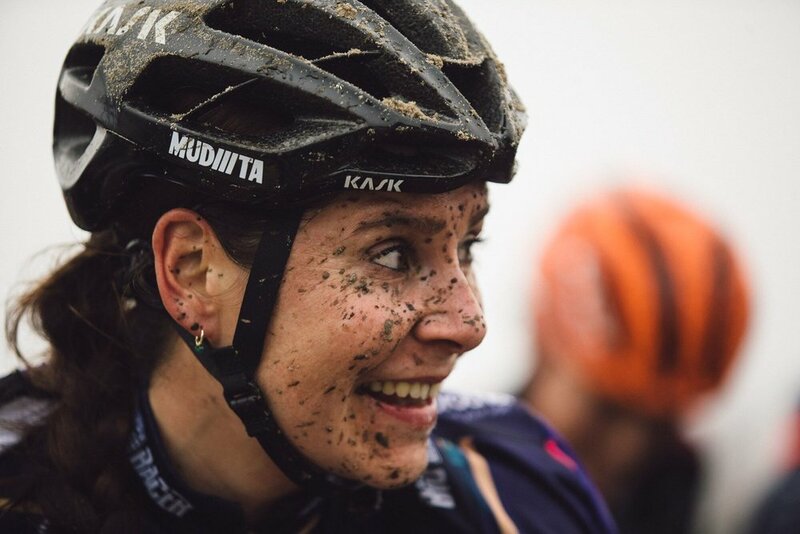 I've competed in almost every discipline in cycling; from racing around muddy fields in Notts and Derby Cyclocross races as an U16 to competing in European, World, and Olympic games in road, mountain bike and my number one love - Cyclocross. Being a good bike rider isn’t just about pushing the pedals fast; it takes strength on the bike and knowledge off the bike to be the best. Over the years I've been lucky enough to work with some of the best people in the business and have some great working relationships with coaches, nutritionists and psychologists. I know the differences between male and female physiology and I’ve also experienced almost every high and low in the sport. I know that you need balance and to do that you need a coach that doesn’t just set training, but can also mentor you through the good and bad times. I would love to share my own experiences with you to help you succeed. Whether you're aiming to go after those season goals, striving to get fit for that sportive or simply want to become a better bike rider, I want to help you get to where you want to be. I understand some training programs can be incredibly hard to follow and I want to take that stress away for you, making your plan as simple and adaptable as possible. If you have a lifestyle that means regular training sessions are difficult to fit in, don't worry. I will be here for you to provide encouragement and a helping hand to fit your training around your lifestyle. Or if you're looking for a full-time training plan then I would love to help make your goals and dreams come to life. I have worked via the Training Peaks platform for the last 4 years, its been great to see my progress on there and having my phases mapped out has really allowed me to plan for my events and have down time when needed. I believe this will be the best way for us to work together - having a power metre would be a bonus but it's not necessary. I’ll be in contact regularly with weekly feedback and monthly reviews of how your training is going. You’ll tell me how your sessions have gone and I will adjust your training accordingly at least every week. So if something unexpected crops up and you miss a session, I can adapt your plan. You can make contact with me via phone, WhatsApp, email or your Training Peaks Premium account each week. To wrap it up, it’s all about you. I will coach you in a way that works for you. We can work closely together, adapting your plan to make it work in the way you want it to. If I’ve caught your attention with any of the above, I’d love to have a chat about how we can work together. You can contact me via the below form or send me an email and we can go from there. HOW IT WORKS? . . .
We’ll have an initial chat over the phone or via email where you’ll tell me your goals and i'll find out about your riding and training history. This will give me a good idea of you as a rider, how you like to train, and how often. Every week i will review your training plan and give feedback when necessary. You will always have at least 1-2 weeks training pre-planned including your long-term goals and structured phase plan. I will adapt your plan as the weeks progress will of course be on hand to answer any questions you have, or if you encounter any problems. I will always try to answer any questions within 24 hours. Analysis - I'll sift through your training files and history and monitor and communicate your progression with you. WHAT DO YOU GET FOR YOUR MONEY? . . . Emergency email contact – for example, if you get sick and your plans need to change, you can always get in touch. For peace of mind our coaching subscriptions have no minimum term so if you're not entirely happy (I am confident you will be) you can cancel at any time with no fees or charges.